An arcade twin-stick zombie shooter video game. We have added everything we know in Tanks Meet Zombies review including its story, gameplay, release date, trailers & walkthroughs. Player control a Tank & destroy hordes of Zombies or undying humans, bears, spiders & other creatures. Player has to fight zombies & other creatures using Tank. Player while using Tank has to fight Zombies & spiders. Player can also run armored vehicle over them. Player can go to graveyards, beaches & other locations. 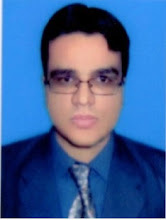 Player can play multiplayer in which player can either compete or can play co-op. The game features four modes including: campaign mode, arcade mode, survival mode & versus mode. Arcade mode has a procedurally generated levels, each having objective. Player has to survive for 2 minutes & has to get a particular number of points before a given wave. The game also has bosses. Survival mode has no time limit & player has fight waves after waves of enemies. 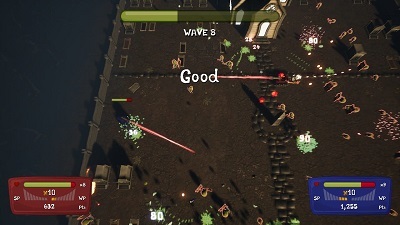 Versus mode allows players to fight against each other until last tank standing. Watch Tanks Meet Zombies official trailer. Watch Tanks Meet Zombies Nintendo Switch official trailer. Watch Tanks Meet Zombies gameplay walkthrough. 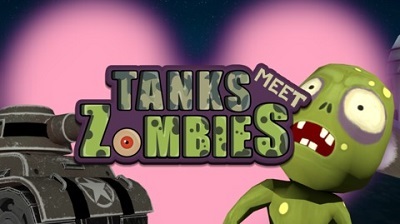 Watch Tanks Meet Zombies gameplay playthrough / boss fights.